Françoise DEROLEZ is passionate about societal transformation as well as cultural and sustainable diversity. Mahatma Gandhi said "Be the change that you wish to see in the world" and this quote reflects Françoise’s impetus to step up and add her own mark for a better world. A sought after speaker in the Internet of Things, she is a marketing senior professional at Cisco with 20-years of experience in IT companies and a solid expertise in strategic digital and social media programs. 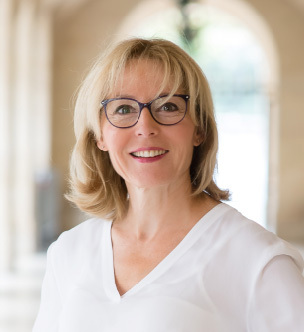 Françoise holds an Executive MBA (Sciences Po) and is certified as board ready (Essec).